ICIS price assessments for plastic commodities are widely used by market players globally in contracts and trade deals. Our reports provide you spot and contract prices for key grades, as well as feedstock prices and trends drawn from our global network of trusted sources. ICIS offers short-to-long term solutions – from historical and forecast pricing data, news and market analysis, to supply and demand forecasts, ensuring you can evaluate the markets from every angle. 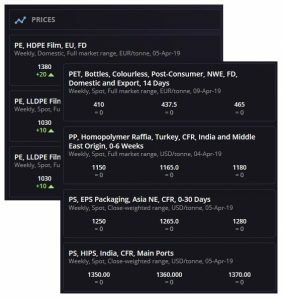 If you are trading, buying or selling plastics resins, ICIS’s reports, news and market intelligence will give you the price data and analysis of price drivers that you need to make confident commercial decisions. 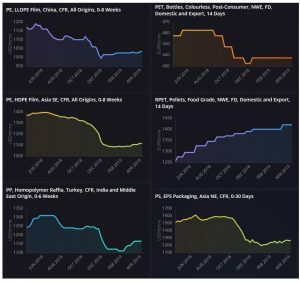 ICIS publishes pricing reports for key plastics commodities and offers timely and in-depth market data, including price assessments, trade activity, feedstock supply and analysis of each region’s current and upcoming export availability. ICIS News brings you breaking chemical news as it happens – including market moves, analysis, data and more. The service is reliable, authoritative and always available when you need it most. Stay on top of plasticizers and other related commodities such as feedstock phthalic anhydride across all regions with ICIS news. Understand where the market is heading to shape your short-term pricing and negotiation strategies. Our concise monthly reports include details of prices, margins, capacity, supply and demand for the next 12 months. Available for polypropylene and polyethylene, the reports are quick to read and support fast decision-making. Rolling 12-month view of pricing, including current prices and expected price trends. Current data on the upstream prices affecting commodity market prices and margins. 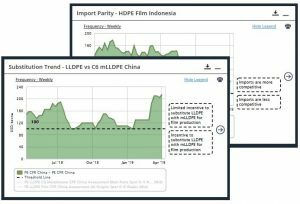 Historical and forecast data on supply and demand balances to support your decisions on production plans and operating rates. Working closely with you to understand your strategies, challenges and ambitions, the ICIS consulting team delivers tailored advice and solutions to suit your unique requirements. With many years’ experience of guiding business leadership teams, we show you how market conditions can make a positive or negative impact on your long-term plans. Training: ICIS polymer training provides market players an overview of the plastics market value chain, including polyethylene. Our team of industry experts can help you increase your knowledge of the industry and gain the insight and know-how needed to operate and trade effectively. Conferences: ICIS hosts regional Polyolefins conferences, bringing key industry experts to deliver a programme that addresses current industry issues. Our Pricing Methodology: ICIS price assessments are based on information gathered from a wide cross-section of the market, comprising consumers, producers, traders and distributors from more than 250 reporters worldwide. Confirmed deals, verified by both buyer and seller, provide the foundation of our price assessments. Our locally based experts provide in-depth regional price reports into specific chemical markets. Our benchmark prices have been trusted by buyers and sellers around the globe for nearly 40 years. Set up market and price alerts to receive updates as they are published – all delivered straight to your inbox. Make better business decisions by using our powerful analytics tools to gain a 360-degree view in today’s plastics markets. Plastics resins are the main base of plastics. With different chemicals and through various processes, they are transformed into plastics with diverse characteristics for specific needs – polyethylene terephthalate (PET) is used for making soft drink bottles while polyvinyl chloride (PVC) is used to make thin clear plastic wrap. There are so many resin types being used to create different forms of plastics. Our coverage includes key commodities, including grades such as HDPE, LDPE and LLDPE. The ripple effects caused by increasingly ambiguous political and economic terrains are impacting every corner of the globe – but what does this mean for purchasing professionals working in the chemical industry? Don’t miss out on the opportunity to learn from professionals across the value chain and unveil what the major players are strategising during these highly turbulent times with our new and improved interactive agenda. On 5 – 6 September the 12th ICIS World Chemical Purchasing Conference returns to Boston ready to discuss the key challenges facing the industry now. From geopolitical and macro impacts to trucking developments and challenges, no question will go unanswered. 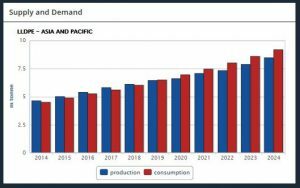 Discover how the supply/demand balance is shaping the industry for years to come as the US begins to reap the effects of its shale gas capacities and how you can get on top with first-class purchasing strategies.